"That is a terrible trick to do for children, what if they try and copy you?" There is no greater sin for a film to commit than that of squandered potential. There's honestly nothing I hate more than a film full of great comedic talent flailing about in a desperate attempt to get laughs where the script has failed to provide them. The world of Vegas magicians seems less a source ripe for parody than a last resort comedic device designed to simply differentiate itself through the sheer fact that no one has really taken a major shot at it before. The Incredible Burt Wonderstone is a film so jam packed with idiocy that it will almost annoy you more when it actually manages to deliver a handful of inspired jokes. Bullied from a young age, Burt (Mason Cook) seeks refuge in a crappy birthday present from his mom, a Rance Holloway (Alan Arkin) magic set. Any child of the 70s and 80s will recognize this as a nod to the ubiquitous Harry Blackstone magic sets of that era, and the film relies on that sort of nostalgia to bring you into this world. Burt's only friend is Anthony (Luke Vanek) and they hone their craft as kids, and as adults, form the magic duo of Burt Wonderstone (Steve Carell) & Anton Marvel (Steve Buscemi). They're stuck playing cut-rate rooms in Vegas until they are offered a deal to bring their act to Bally's by Doug Munny (James Gandolfini). The catch is that they would have to split up, but Burt refuses to leave Anton behind, and turns the deal down. 10 years later, the duo are still doing the same show, to increasingly diminished crowds, and what's more, they despise one another. 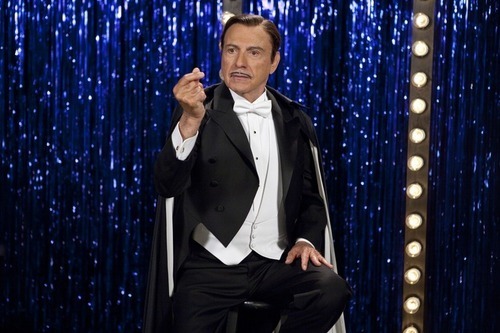 Their style of magic is now being usurped by crazy street magicians like Steve Gray (Jim Carrey), and an attempt by these old school hams to jazz up their act leads to disaster, and Anton abandons Burt. With his contract cancelled, Burt must try and get his mojo back, as Munny will be opening a new casino, and the winner of a magic competition will get the chance to headline at the new casino. Don't get me wrong, there are some truly inspired bits throughout the film. Burt trying to continue his two man show by himself is very funny, the running gag about bed sizes also made me laugh and Jim Carrey's final scene is also about as funny as anything he's done in the last decade. But the film prefers to wallow in cheap, lazy jokes. Spray on tans, big wigs, nonsensical Criss Angel/David Blaine -style street magic, this is all pretty low hanging fruit, and the film unfortunately doesn't aspire to any greater heights than these. The fact that I've gotten this far into the review without mentioning Olivia Wilde's character will also tell you what an afterthought the script treats her as. She's perfectly good in the role and manages to score a few laughs as a foil for both Carrey & Carell, but her character (a stagehand turned magician's assistant with aspiring magic dreams of her own) is a total romantic throwaway. The main trio of Carell, Buscemi & Carrey are all perfectly fine. They're great comedic actors who can always manage to do a lot with very little. They never show the desperate flop sweat they must have been drenched with, which is really a testimony to how committed they are to this paltry material. Arkin is great in his small role as a shyster who's stil got a few tricks up his sleeve, and Gandolfini is always good, even playing a character as one-note as the one he does here. There's also some funny work in small roles by Jay Mohr & Brad Garrett. Director Don Scardino has worked almost exclusively in television, and his uninspired work here shows as much. The film is flat and uninteresting visually, and as I said earlier, relies far too much on wigs to get laughs. The script has two screenwriting credits & four story credits, and my opinion on films written by that many people has been well-documented in the past. When that many writers are all fighting for their material to be front and center, it spells disaster for the finished product. 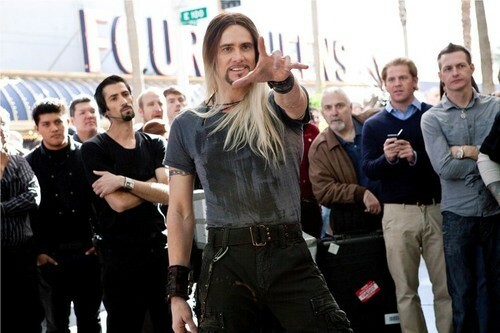 In fairness, I may be giving The Incredible Burt Wonderstone a bum rap. It is definitely a much better comedy than this year's mega-hit Identity Thief, but merely being better than an awful movie is no great feat. This film could have been hilarious and it's a decent rental for a night when you've got nothing better to watch, but it's got too much wasted potential for me to recommend it.